At daily paperpk we provide all jobs in Pakistan publishes in newspaper , other companies websites or posted in FB or linked in at one place so the jobseeker dont need to visit all websites. We are trying to make the process of job search easier for by providing all government and private jobs ads at one website and app with all Jang job ads updated daily. We are not related to websites like dailypaperpk.com , jobsy.pk , paperpk-jobs.com , paper.jobs.com.pk , pakistanjobsbank.com , paperpk4u.com , dailypaperpkjobs.com , ilmkidunya.com , jobz.pk , papers.com.pk , paperpkads.pk , paperpkjobs, paperpkjobs.pk or any other website / App using the name of PaperPk.com or trying to copy its idea. Also we dont represent any international or Pakistani newspaper. Paperpk provide newspaper ads with latest jobs in Pakistan from Karachi, Lahore , Islamabad and all major cities. Tenders , admissions and newspaper jobs cuttings are in scanned forms and are updated daily. 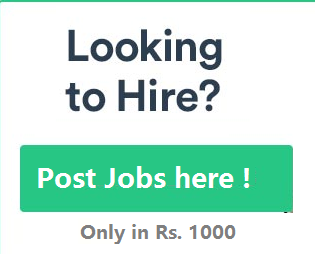 On paperpkads.com , paper.pk or paperpk.com you can search blog Jobs in newspapers like Jang , Dawn, Express Nawai Waqt and other today news papers. Daily paper advertisements are for information purpose only. Paperpk.com don't claim any type of copy rights or responsibility of ads. This is not the alternative of epaper or newspaper. We dont verify ads with companies those publish ads or the publisher, so be carefull at time of applying specially sharing your personal and financial information .